Japan is poetically referenced as "Mizuho Country:" a country rich in natural resources with fresh rice ears that hang low from bearing golden grain. Furthermore, Japan receives abundant seasonal bounties from the mountains and seas throughout the year. The powerful combination of diverse, fresh ingredients and sensitive Japanese wisdom is the key to the development of our unique cuisine. The effect of this rich collection of fresh ingredients and quality, or kokoro (which means heart), of Japanese food is apparent in every aspect of our food culture, including the selection of ingredients, manner in which food is prepared, seasoning, selection of dishes, plating and serving of food, table manners, and welcoming and delightful customer-conscious serving styles. We have established "Plenus "kome" Academy—Plenus Research into Japan's Rice Culture" with to comprehensively research the beauty of Japanese food culture. Japanese cuisine can trace its roots to medieval China (Chinese-style), from which it uniquely evolved to increasingly include refinery and daintiness (Japanese-style). After some further changes, Western culture was introduced to Japanese food during The Meiji Restoration (The Cultural Enlightenment), and it became what is now known as Japanese cuisine. 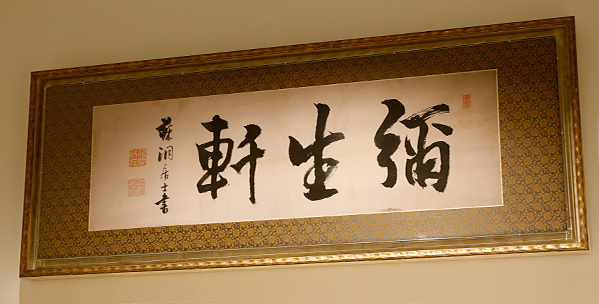 In 1938 (19th year of the Meiji period), Tamijiro Shioi, the great-grandfather of Tatsuo Shioi (the current President and Representative Director of Plenus Company Limited), started a Western food restaurant called "Yayoiken" in Kayaba-cho, Nihonbashi, Tokyo. His highly inspired incorporation of Western influences with the traditions of Japanese cuisine culture not only shaped modern Japanese food, but also established the groundwork for a food culture that has come to can be accepted and welcomed by a variety of ethnic groups around the world today. We strongly believe in the importance of learning about the unchanging Japanese values and wisdom through research of our history. Understanding food as the comprehensive product of culture, the Plenus "Kokoro" Academy will continue to build upon the foundations of Japanese food culture for the world. Studies the various forms of everyday life culture, history surrounding rice, and the beauty of Japanese food culture, and communicates these to the world. Toei Subway, Asakusa Line "Nihonbashi Station"
Copyright © Plenus "kome" Academy. All Rights Reserved.